Fashion week flair will prevail Friday, April 29,. 2011 and Saturday, April 30, 2011 as exotic models and creative designers from around the world converge to strut their stuff on the fashion runway at Ballys Casino and Resort in Atlantic City, New Jersey, U.S.A. for the World Fashion Contest. Its not too late for aspiring and established male and female models and designers of clothing and accessories ages 16 and up worldwide to enter the contest at no cost. Visit www.worldfashioncontest.com for details, rules and to download a registration form. Presented by the Indo U.S. Council and the Mid Atlantic Medical Association with the help of Flair Designs Events, based in Jackson, New Jersey, the World Fashion Contest promises to bring back pageantry and non-stop action in a unique non-gaming, family friendly manner to Atlantic City. This fashion event is slated to evolve into an annual Atlantic City fashion week event to be held early August. The multi-cultural event is open to the public to view and people of all ages and backgrounds are encouraged to attend both days. The winners in each of the two categories (models/designers) of the World Fashion Contest will receive the grand prize of $1,000 each and they will be deemed International Model and International Designer, respectively. They will also be presented with trophies for both, plus a crown for the winning model. Both winners will also receive copies of professional photos and videos taken at the World Fashion Contest gala event plus a photo shoot with a well-known New York City photographer Paula Lizaragga. In addition, the winners of the modeling category will receive a one-year exclusive modeling contracts with Colby Model Management and Kamack Model Management, both of New York City, and a complete package courtesy of Barbara Hewins of Polished Professionals Etiquette and Runway Coaching, New Brunswick, New Jersey. The package will include many nice surprises such as etiquette classes focusing on poise and presentation, runway classes, free make-up and make-up tips. What more could an aspiring model ask for? But there may be even more! A magazine sponsor is currently being sought to publish a spread focusing on the winning model! The World Fashion Contest will kick off at 7 p.m., Friday, April 29 with registration, a networking mixer during which drinks will be available in addition to cupcakes from Lorettas Sweet Shoppe of Englishtown, New Jersey, and a fashion show courtesy of celebrity designer Sofistafunk Skirt Co. Vendor tables and designer tables will be on display and bids will be taken on all donated dresses from showing designers. Proceeds from the bidding and sale of the designers merchandise will benefit the Mid Atlantic Medical Association, which focuses on prevention and early screening for multiple diseases. An after party will follow at 10 p.m. with music provided by DJ Raj and DJ Yanni Mel. Mel, the DJ at the popular Karma Lounge in Seaside Heights, New Jersey, has appeared on the MTV reality show, Jersey Shore. The action will start up again Saturday, April 30 with designer fittings and rehearsals from noon to 5 p.m.
A highlight of the evening festivities slated to begin at 6 p.m. will bring a showing of the latest haute couture designs created by Oscar Award red carpet fashion designer Shekhar Rahate, presented by Sandy Foley of Flair Designs, who will have her own creations of designer masks and headpieces featured at the event as well. The main event at 7 p.m. will feature the fashion contest and presentation of awards to the winning International Designer, International Female Model and International Male Model. 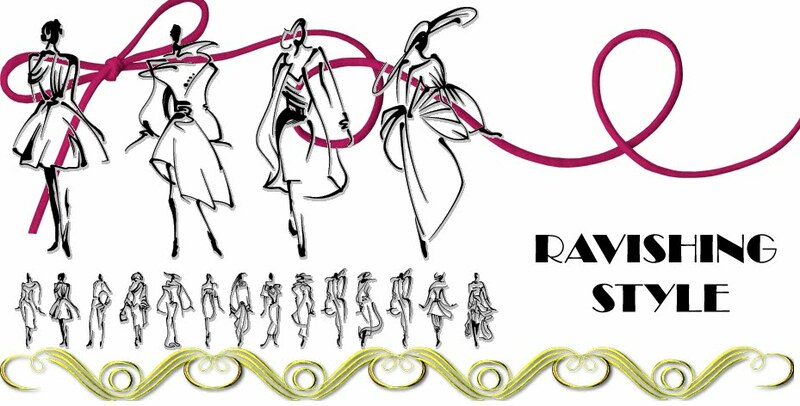 Well-known and highly respected members of the fashion industry will conduct the judging. The World Fashion Contest will culminate with an after party for all attendees at Ballys with music provided by DJ Yanni Mel and DJ Raj. www.fashion.ticketleap.com. Tickets cost of $25 in advance or $35 at the door for the Friday evening mixer and fashion show, and $50 in advance or $60 at the door for the Saturday night fashion show, judging and awards event. Both evenings include admission to the after party event. VIP seating is also available. According to Gupta, a pain specialist physician with offices in the South Jersey and Philadelphia areas, the Indo U.S. Council is comprised of several professionals from many different backgrounds. Their goal is to promote multicultural, non-gaming events for families of all cultures in the Atlantic City and tri-state areas. Most recently the council organized a parade in Atlantic City that was attended by many. We have more than 200 models and designers of clothing and accessories from as far away as Albania and Africa who have applied to the contest, said Gupta. Fashion has a widespread appeal without any religious or political issues. We hope to provide a place for international designers and models to gain exposure, while at the same time hoping to increase tourism in the Atlantic City area. We will be glad to have anyone who is interested in the fashion industry attend and/or sponsor the event. In addition to the general public, we also welcome newspapers, magazines, photographers, radio and television stations and all interested parties to attend the World Fashion Contest.